With the Mini Marathon looming closer now, there are going to be times when you wonder what on earth you have undertaken. As time goes on, training can quickly change from being an enjoyable experience to one that you, at times, might dread. Drops in motivation are common but quitting the challenge is always an option you will live to regret. Below are a few tips to keep you on track with your training. Dips in motivation tend to arise once your training increases and you can easily feel daunted by the training that presently faces you and the training that lies ahead. When times get tough, try looking at what you have already achieved and how far you have come since training began. Think about what a shame it would be to throw it all in just weeks before the end. 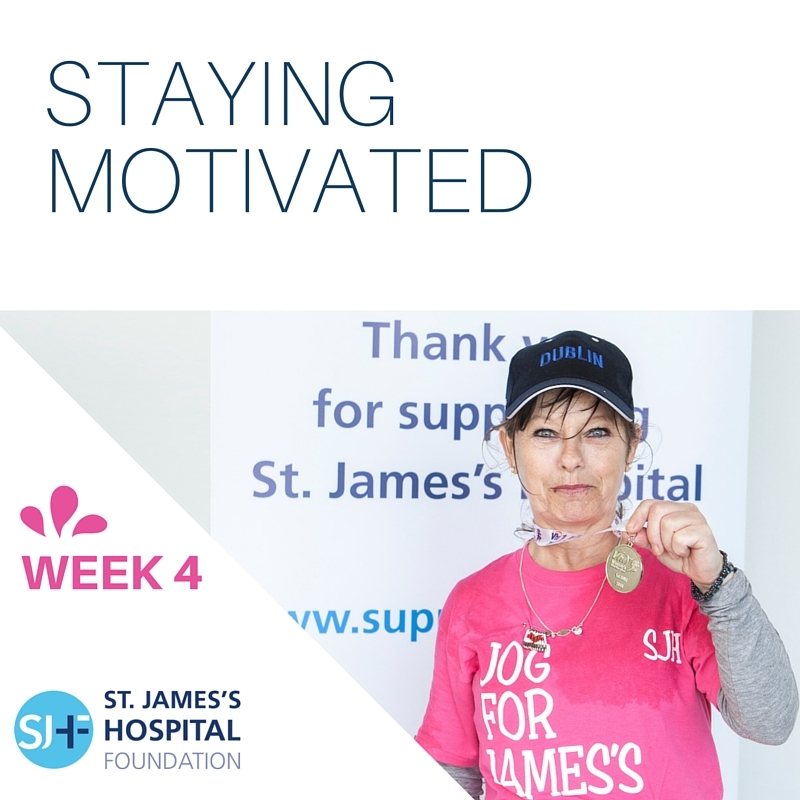 Whether you are training to achieve a certain time or just aiming to get around, remember the good work you are doing for the St. James’s Foundation. We all have an inspirational figure we look up to and not necessarily in the athletic world. When the going gets tough, look at your inspirational figure or read their book. What would they do in your situation? How would they deal with a drop in motivation? In years to come, you will have forgotten about the hours and the miles you put into your legs to prepare for the Mini Marathon but the resounding memory of crossing the finish line will stay with you forever. When you feel overwhelmed by the training demands, remind yourself that in the grand scheme of things a few more weeks of training is nothing compared to the lifetime of memories you will have finishing the Mini Marathon.